Home Blog Uncategorized Welcome to G&G Jewellery and Coins- A Grand Opening Celebration! 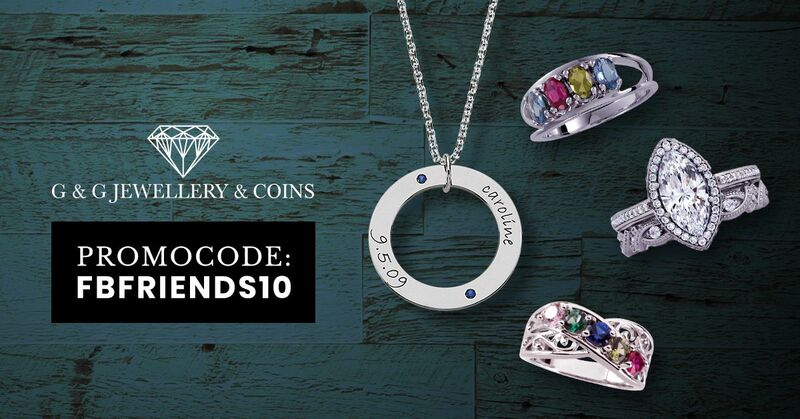 Welcome to G&G Jewellery and Coins- A Grand Opening Celebration! We are very excited to reveal our new and improved website! G & G Jewellery has been a staple business in Windsor’s downtown core for over 25 years and in business overall for 45 years. As technology advances and online shopping becomes more popular we decided to expand our reach and open an online store. G&G Jewellery has so much to offer, including new and vintage items, services and more, that we decided to make more of it available to customers around the world. This website has been a long time coming and we are thrilled to share our products and expertise with you. If you have questions, suggestions, comments or requests for products or custom items, please let us know! We are here to help. Our wonderfully talented design and development team at Generator Design Inc. has put our ideas and goals in action, producing for us a website in a stunning rendition of who we are. I always call G&G Jewellery a “diamond” in the rough; with so many stores closing in our downtown area, we still stand strong and have SO much to offer our community. When you walk into our store you will see walls of amazing jewellery and find treasures that you will not see anywhere else. Our website reflects our in-store experience—complete with 45 years of commitment to outstanding service, expertise, and products always at the best prices! To celebrate our grand opening, we are offering everyone a 10% off online discount. Use promo code FBFRIENDS10 at checkout and don’t forget to Like us on our Facebook page for all the latest news, contests and more! This offer is valid toward online products from October 22, 2018 through November 9, 2018. Excludes coins and services. From all of us at G & G Jewellery, thank you for helping us to become what we are.